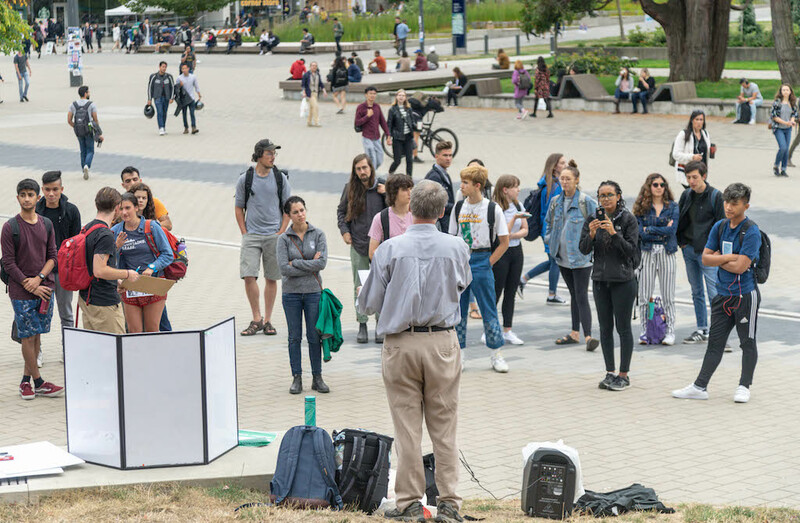 UBC’s environmental student groups recently held a “teach-in” to raise awareness about climate change issues surrounding pipelines. Hosted in front of the Nest on September 7, the event was also linked to a larger rally the following day in downtown Vancouver as part of an international grassroots campaign that calls for an end to fossil fuel energy. 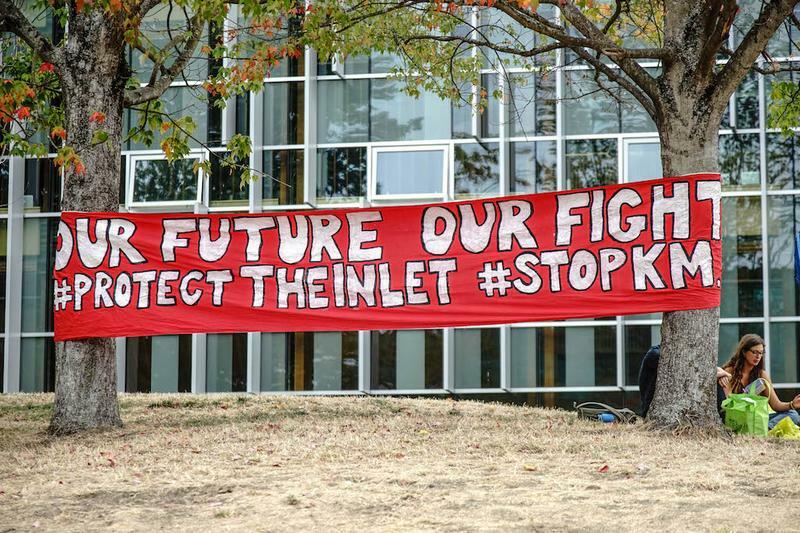 Coordinated by UBC Sustainability, Common Energy, UBCC350, the Social Justice Centre and Vegans of UBC, the teach-in revolved mainly around the Kinder Morgan Trans Mountain Pipeline Expansion (TMX). 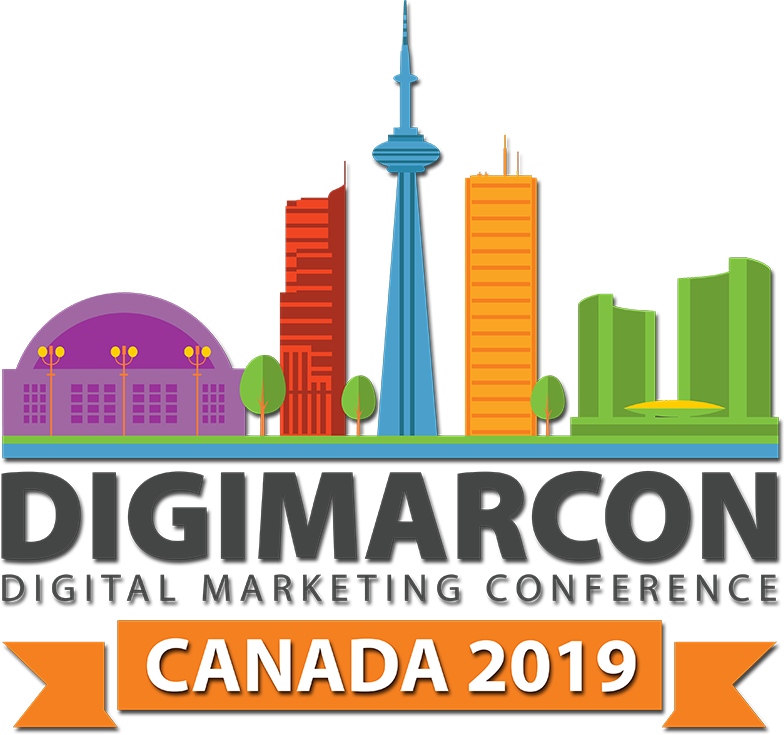 Michelle Marcus, an event organizer from UBCC350, attributed this focus to the pipeline’s proximity to Vancouver and its recent dominance in the news. Bought by the federal government for $4.5 billion, the existing pipeline would increase oil tanker traffic by seven times to 400 visits and close to triple capacity to 890,000 barrels per day if expanded. At the end of August, however, the Federal Court of Appeals halted the expansion after ruling that the federal government had not adequately consulted with Indigenous populations or considered the risks of oil tankers. “We're also trying to use it as an opportunity to keep up the pressure and to not let all the passion that we had die down,” added Cassie Millar, event organizer from Common Energy. 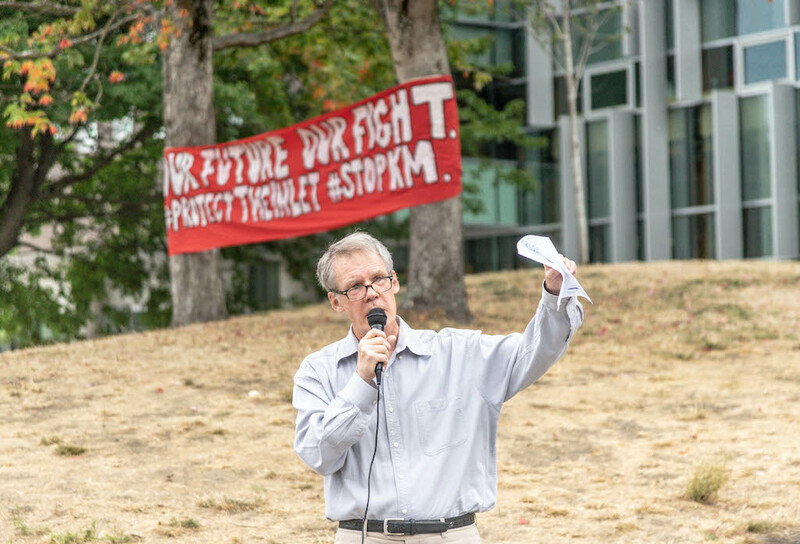 With speakers like Tsleil-Waututh Nation activist Cedar George Parker, retired lawyer David Gooderham and speakers from student-led sustainability groups, the teach-in addressed both climate concerns — like increased emissions and oil spill risks — and Indigenous rights. “I feel like [the Indigenous perspective] is one thing that UBC students should really know ... because we hear at all the time that we’re on unceded Musqueam territory,” Millar said. Marcus also pointed out the importance of not only divesting from fossil fuels, but also investing in renewable energy and retraining workers for jobs in that sector. Some students passing by the Nest gathered for a few moments to listen in. “Being from Alberta, it’s really interesting to hear a different perspective because I think a lot of people don't really understand why BC is a little bit hesitant or skeptical about it,” said Kisik Shirt, a fifth-year geophysics student. “As a student, I think it’s kind of hard to be able to go out to go to the protests, go to the walks … I spend a lot of time on campus so it’s interesting to see it out here. Both Marcus and Millar then stressed the the importance of student voices in the climate movement and addressed positive environmental changes happening at the university level. As of August 15, the AMS has divested from fossil fuel in its investment policy and formalized this mandate for future financial management. UBC also created in 2017 a $10 million Sustainable Future Fund after students and faculty expressed support for divestment in referendums, but it has not fully divested its now $2.1 billion endowment. “I think when institutions like the AMS divest, it shows it’s not too radical to divest from an industry that is ravaging the planet and divestment is becoming more of a mainstream thing to do,” Marcus said.